Blender is by far the most popular open source graphics program available. It is a full featured 3D modeling, animation and games development tool used by millions all over the world – and it’s free! This book is for those looking for an entry into the world of 3D modeling and animation regardless of prior experience. 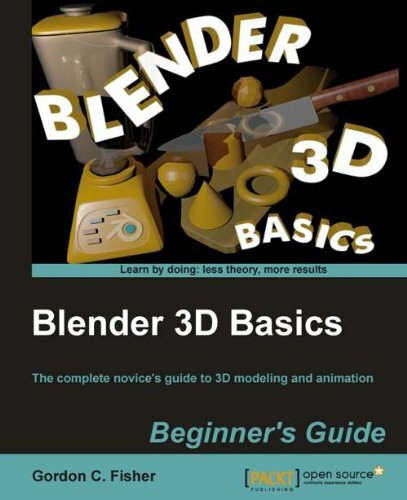 Blender 3D Basics is the entry level book for those without prior experience using 3D tools. It caters for those who may have downloaded Blender in the past but were frustrated by its lack of intuitiveness. Using simple steps it builds, chapter by chapter, into a full foundation in 3D modeling and animation. Using Blender 3D Basics the reader will model a maritime scene complete with boats and water, then add materials, lighting and animation. The book demystifies the Blender interface and explains what each tool does so that you will be left with a thorough understanding of 3D. Written in a step by step tutorial style, learning comes as a result of creating the fully animated scene and the explanations that follow each stage. Blender 3D Basics is great for anyone who is new to Blender or new to 3D.